TechnoQueens proudly showing their Lego model and team poster in the exhibition hall in Detroit’s Cobo Center. From left: Sahana Patel, Ria Bhatia, Amneet Kaur, Aarna Tyagi, Risha Bansal, coach Rohit Bhatia and Falak Doshi. TechnoQueens winning the “Research & Discovery” Award during Jr FLL ceremonies in Detroit’s Cobo Center. 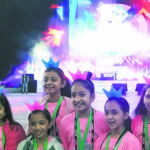 When the TechnoQueens found out they were heading off to compete at the First Lego League Jr. World Expo in Detroit, little did the six girls from Jackson and Cantiague elementary schools realize they would go on to win the top award in the FIRST World Championship. 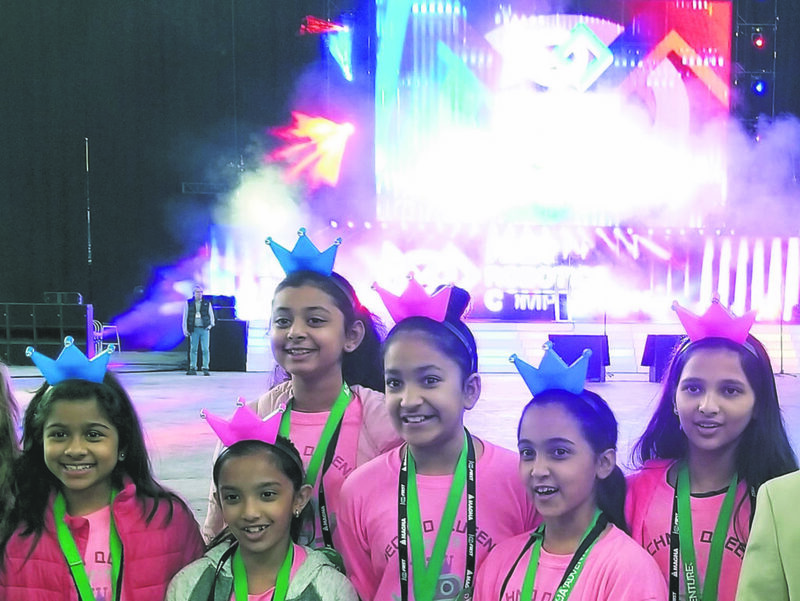 The Jericho squad was one of 60 teams from around the world that went to this event, all the more impressive given that upwards of 14,000 international groups petitioned to be one of the Jr. FLL Girls Teams. 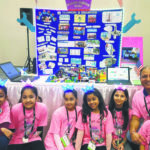 It was no surprise to parent/team coach Rohit Bhatia, who had a front row seat for the TechnoQueens’ triumph at the Jr. FLL Expo in Mineola earlier in the year. 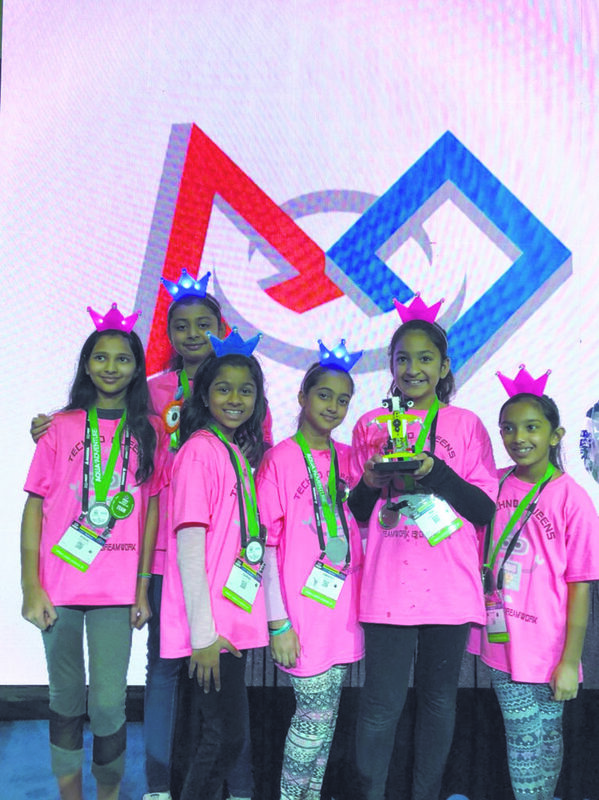 In Michigan, the TechnoQueens built on their earlier success, going on to win the Team Choice Award, which involved competing groups casting their votes regarding their favorite team of the expo. 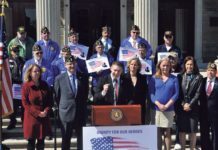 The Jericho rookies used a combination of prominent presentation skills, sound research and an innovative model design to be one of the top three teams selected to compete for the top spot. Another round of secret balloting found the New Yorkers going up against teams from China and Taiwan. 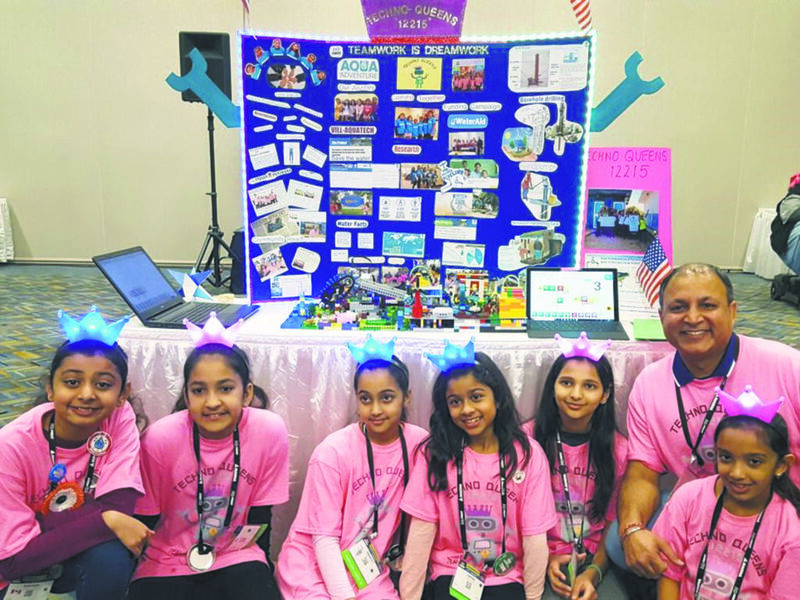 The TechnoQueens wound up winning the Research & Discovery Award because of their Vill-AquaTech project, which was designed to bring clean water to remote village communities in the world. A further component found the girls getting involved with Wateraid’s People Pipeline Campaign, in which they raised around $3,000 and were able to bring clean water and toilets to peers at a school in Nicaragua. For Bhatia, the journey his charges are taking is as important as the end result. Despite being dwarfed by the enormity of having to present within the cavernous confines of Detroit’s Ford Field, the TechnoQueens carried themselves with a quiet confidence. 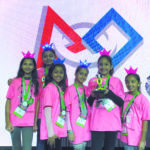 And amid the accolades from fellow parents and judges, Bhatia was particularly inspired during the awards ceremony, when GM CEO Mary Barra made a speech about engaging young girls in science and technology. 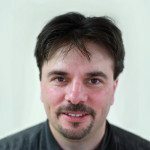 “I looked at these young girls seated in the front row and felt, yes, we are on right track,” he said.